If you want your staff to be obsessed with serving your customers and continually increasing sales, this on-target store management course manual should become your business Bible. Every store manager faces the same daunting mandate—increase sales over last year. Unfortunately, few supervisors bother to explain to explain how, and the goals they conjure are all too often based on wishes and whims, rather than facts and figures. 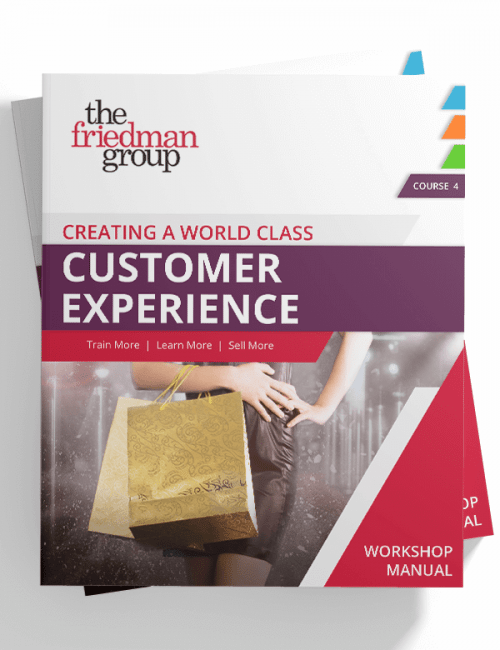 Rather than just preach or scold, this course provides effective solutions for real-life retail challenges and offers practical solutions for common management constraints that can hamper productivity and leave your store’s money on the table. Participant Workbook/Course Manual: Presents the written content of the course including ready-to-use forms, checklists and reference materials. (Note that the course may be self-driven or facilitated by upper management/HR in a classroom or group setting with store managers and assistant managers in attendance). Used and applauded by retailers representing well over 50,000 stores, our Professional Retail Management course will show you how to establish sales and behavioral standards, gain full compliance from your fully trained staff and quickly generate more sales. The course content takes you from setting realistic and fair sales goals to tracking and improving individual performance, all while strengthening discipline and increasing team spirit. The exercises and discussion points sprinkled throughout the manual will help you and your team implement the tools and ideas in a logical manner, while gaining essential buy-in on the positive changes about to take place. By the end of the course, you and your store management team will have evolved to a new way of thinking and managing—one that affirms your right to have things done your way and in the best interest of the company! Learn how to motivate your staff and bring a passion for selling to your sales floor with strong yet attainable individual and store sales goals. Start holding your salespeople accountable for their sales while raising the quantity and quality of their sales to all new heights. And finally, create a culture of great customer service that makes salespeople want to work at your store and makes customers want to return again and again!